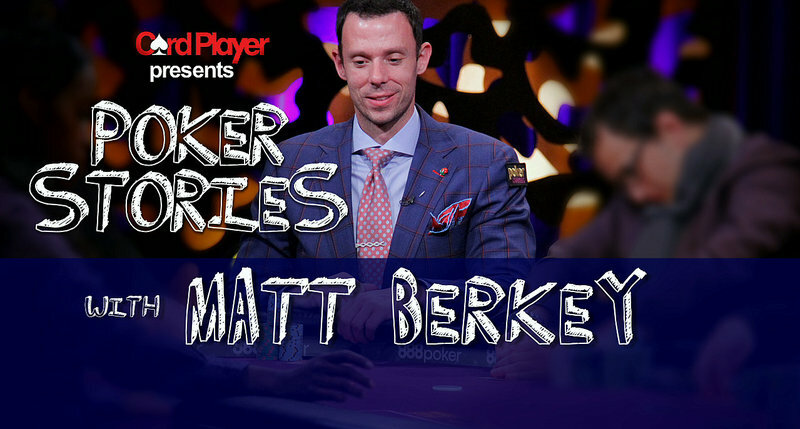 Matt Berkey is a 35-year-old poker pro from Leechburg, Pennsylvania who has risen through the ranks to become a regular in both high-stakes tournaments and cash games. The former baseball standout has earned nearly $4 million in live tournaments, including a $1.1 million score for taking fifth in the 2016 Super High Roller Bowl. Berkey’s most recent accomplishments include a third-place showing in the Little One For One Drop for $240,588 and a third-place finish in the Seminole Hard Rock Poker Open for another $341,618. He’s also spent a lot of time battling elite players in some of the biggest cash games in the world, and estimates that he’s been involved in as many as 10 seven-figure pots during his career. Highlights from this interview include a one-stop-light town, being a responsible eight-year-old, betting the whole jar of pennies, shoveling snow on the diamond, why 25 is old, poker in a steakhouse, the why of risk, misreading hands with JRB and Rick Salomon, getting pity from Mrs. Galfond, going postal, getting royal flushed by Sippl, dates at Tropical Smoothie, and the $1.6 million session. Catch up on past episodes featuring Daniel Negreanu, Nick Schulman, Barry Greenstein, Chris Moorman, Bryn Kenney, Mike Sexton, Brian Rast, Jean-Robert Bellande, Scott Seiver, Greg Raymer, Maria Ho and many more. If you like what you hear, be sure to subscribe to get the latest episodes automatically when they are released.